Formulated with Borēaline Protect, which comes from the black spruce tree’s bark, this protective skin mist is great to have on hand at all times. As it forms a defense barrier over the skin, The Herm Farm’s Protecting Skin Defend Mist then gently delivers the perfect dose of nutrients, all while stimulating collagen to curb signs of ageing—much-needed if you live in the city or frequently experience stress and fatigue. Introduce the good touch of nature to harsh office conditions? 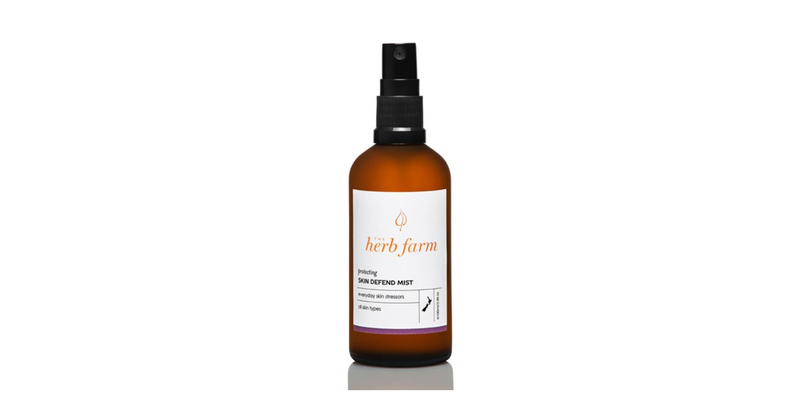 The Herb Farm’s all-natural Protecting Skin Defend Mist protects skin from external stressors such as UV rays, pollution, harsh weather, and even blue light. Just spritz onto the skin, and this mist will leave you feeling refreshed, brighter, and more radiant almost immediately. Nespresso releases a Parisian Gourmandise-inspired limited edition festive collection. A BAZAAR behind-the-scenes exclusive on the supermodel and her new campaign.